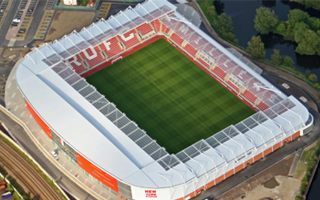 31.10.2014 Rotherham: Commercial complex next to New York Stadium? 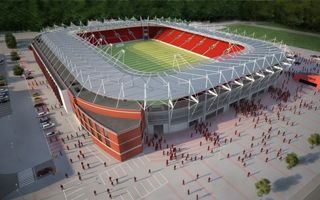 Up to 1,000 jobs may be created if Rotherham United owner is allowed to build his desired hotel and offices along New York Stadium. But decision needs to be made soon. 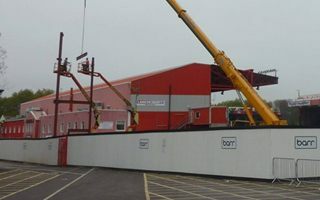 Exactly 3 months after demolition crews started dismantling the old stand, first steel beams were mounted on site. 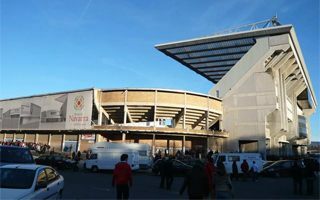 Now Bristol City owners are inviting local companies to become subcontractors. 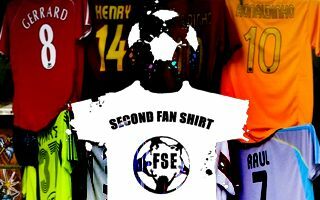 29.10.2014 Take part: Second Fan Shirt campaign! The idea is simple: check your closets for unneeded club merchandise and donate it to refugees, who are in dire need of support. Read on to take part, that’s easy too. 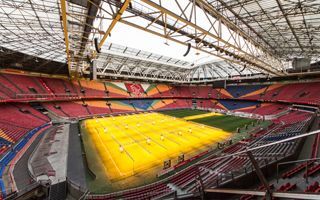 Alarming news from Rat Verlegh Stadion sounds more alarming when revealed that authorities have been hiding them from public view. But significant cracks in concrete structure are to be dealt with in 2015. 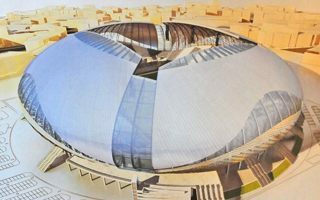 Representatives of various local and regional authorities gathered today in Florence to discuss the 40,000-seat new stadium for Fiorentina. 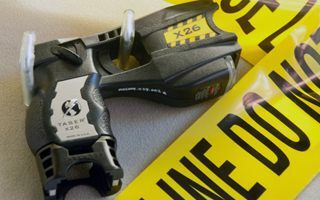 Working groups will now evaluate the scheme. 27.10.2014 Hamilton: Sixth deadline set, will they meet it? 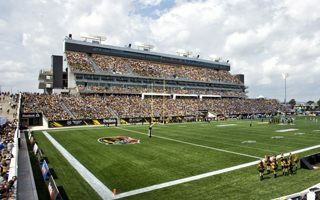 Tim Hortons Field was due for delivery on June 30, but it’s not finished yet. And the city doubts that latest deadline of Nov 28 can be met. A CBC report. 26.10.2014 Leipzig: RB to expand Red Bull Arena by 10,000? Not this season and possibly not the next one as well, but the energy drink team is coming to Bundesliga. And once it does, the arena may grow to over 55,000 capacity. 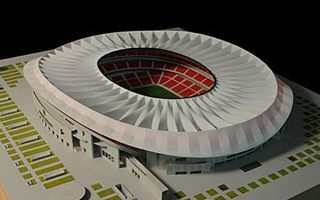 24.10.2014 Rome: Significant delay for AS Roma stadium? As if the humiliating 1-7 defeat wasn’t enough, AS Roma suffered one more blow this week. 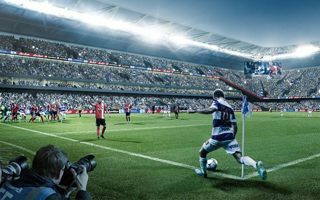 City planning officials failed to approve planning permission to allow the new stadium groundbreaking. While the London-based club hopes to build a new stadium at Old Oak, the plot owner very clearly states, this isn’t happening. End of the New Queens Park scheme? Very likely. It may be “only the second league”, but it still draws crowds and experiences the good and bad sides of fanaticism. 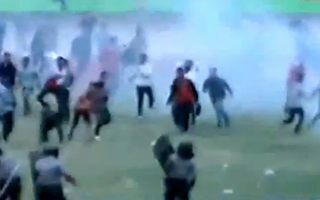 Both were seen on Wednesday afternoon in Solo, where a fan was left dead. 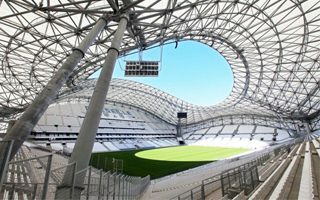 A stadium for 30,000 people at a price almost impossible in most European countries ? Sounds interesting and looks even more so with a one-of-a-kind architecture. 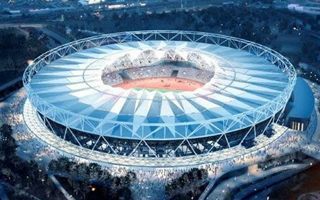 Not as expensive as predicted in recently leaked information, but the London Olympic Staidum’s conversion will cost the taxpayers further £36 million, totaling at 221% of the 2007 estimations. 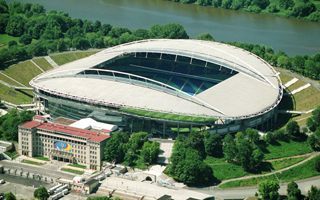 Our database has grown overnight by 3 more stadiums from Poland. This time it’s Nowy Dwór Mazowiecki, Tomaszów Lubelski and Białystok. 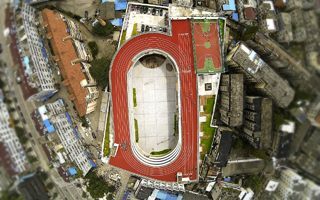 It wasn’t possible to build a school with adjacent sporting facilities, so architects came up with an idea of creating one on top of the other. And it’s a really great idea. 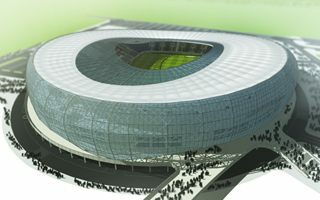 21.10.2014 New design: Is this the 2018 WC cheapest stadium? It’s supposed to seat 35,000 people during the tournament and over 10,000 less in legacy mode. It’s also expected to be cheap… at least in comparison to other Russian venues. 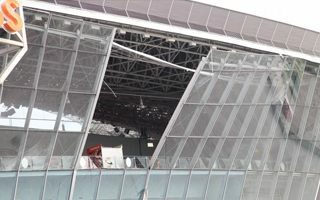 Up to 75% of the glass cladding may be at danger of collapsing, according to latest information from Shakhtar. This follows a vast piece falling down after a strong explosion nearby. 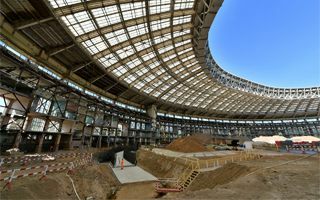 FIFA is very satisfied, because Russia’s national stadium redevelopment is ahead of schedule. 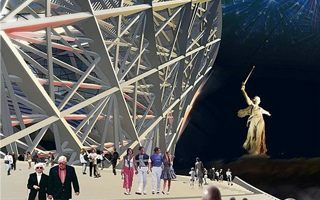 In spring of 2017 the RUB 19 billion giant is to be reopened with completely new infrastructure. 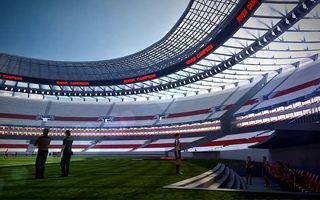 Experts from FIFA visited the most expensive Russian stadium and are satisfied. 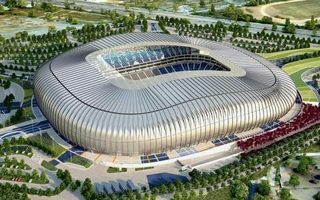 This should be the best stadium of 2017 Confederations Cup and 2018 World Cup. And looks impressively, as seen in this video. 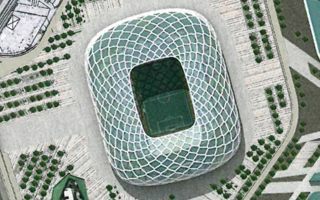 17.10.2014 Madrid: A superstadium for Real in the suburbs? 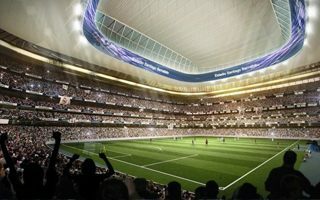 It could hold up to 100,000 people and cost a smashing €1.2 billion, nearly four times the price of revamped Bernabeu. But the superstadium isn’t Real’s first choice, only a ‘Plan B’. 17.10.2014 London: Olympic Stadium revamp even more expensive? 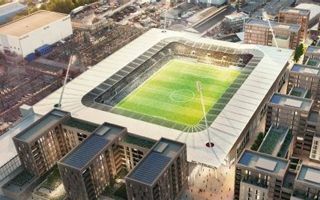 As if this stadium wasn’t drowning in criticism over excessive spending, Construction Enquirer suggests the final budget may rise by further £50 million. 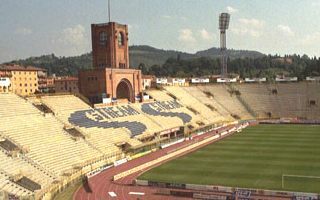 Having finalized the takeover of Bologna FC, Canadian Joe Tacopina confirms building a new stadium is one of his strategy’s key elements. Details should be known as the season ends. 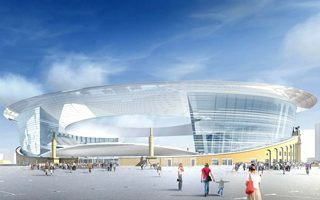 Though it will retain one of its current stands, the redesigned stadium of Icelandic national team will completely change the matchday experience of fans. But not just yet, despite Iceland’s sensational Euro 2016 qualifiers so far. In 2009 most of the roof collapsed. In 2013 the same happened to what was left. 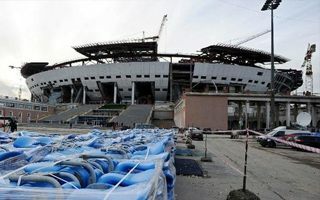 Now authorities hope to reopen the stadium after 5 years of despair. With no roof at all. 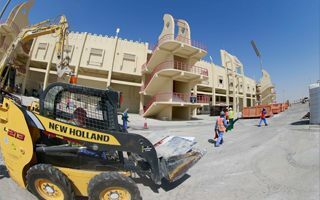 Preparatory works are ongoing, budget is secured. 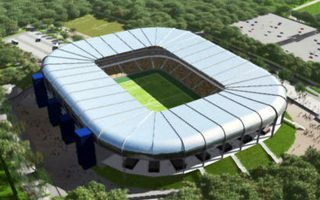 This was really the last call for Ethiopia to change the stadium design for another. But is the new scheme better than the previous one? This may be too little compared to initial construction schedule, but current work pace is very good. 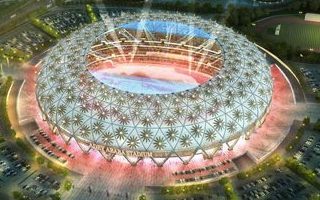 Mexico’s most modern stadium is scheduled to open in early 2015. 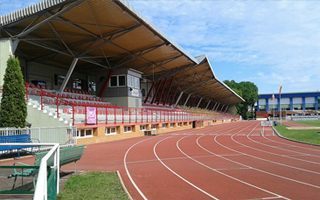 The second league club has debt beyond capabilities and offered to transfer its stadium and training centre to public authorities as part of payment. After 30 years Osasuna would reclaim ownership, if all claims are paid. 15.10.2014 England: Wembley spoiled the national games’ taste? A letter from faithful fan of the national team is circulating in the web and causing a heated debate. 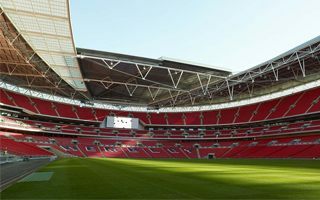 Many agree with Steve Askew that games at (recently half-empty) Wembley are a doubtful pleasure. 14.10.2014 Madrid: Atletico close to Turkish Airlines naming rights? 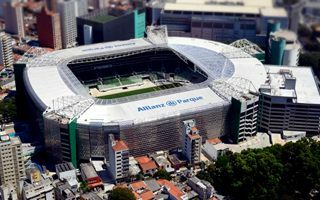 The club is said to be in good relations with the airways company and now has a representative in Istanbul, running talks about naming rights for the new stadium, according to Inside Spanish Football. 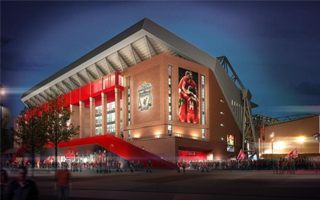 The Reds are about to expand their home to keep up with domestic and international competition. Still, selling naming rights for Anfield isn’t considered. The new main grandstand will be up for grabs, though. This stadium was supposed to cost 500 million, but will need around half that price. 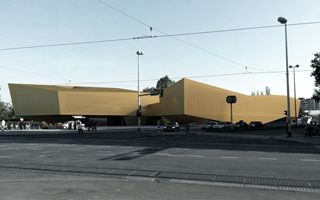 Unfortunately, not much was left of the original design, which proved too ambitious. 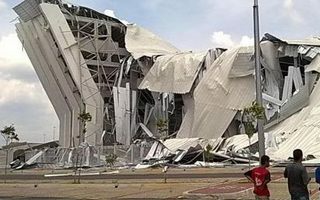 First few months of the Singapore National Stadium weren’t supposed to look like that. 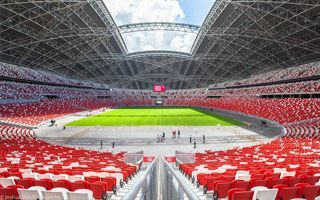 One of the world’s most expensive stadiums is about to experience its first sell-out game, but the field quality has been disappointing since opening. 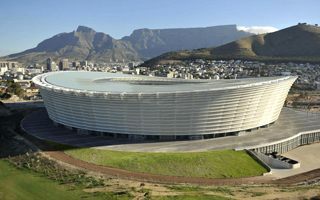 Will Cape Town Stadium bleed out? Not likely, but consuming vast amounts of taxpayers money also isn’t a long-term solution. Managing company hopes to find a key tenant, but there’s little reason for optimism. 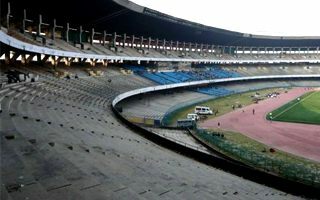 Top games at the Salt Lake Stadium were experienced by well over 120,000 people. Now capacity is halved compared to those days, but comfort went up impressively. 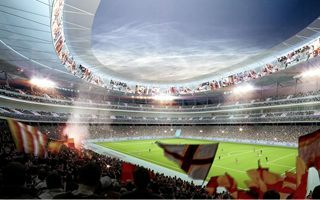 It’s already one of the world’s most famous stadiums, but with 20,000 extra seats it’s going to be more impressive. 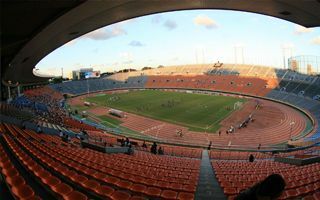 El Monumental in Buenos Aires is waiting for its largest redevelopment. 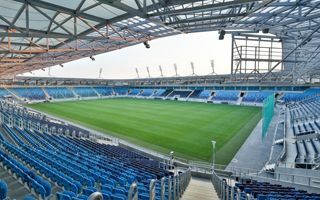 In exactly one week from now the Jagiellonia x Pogoń game will become the very first with all stands opened in Białystok. But despite four years of construction (instead of two) the final cost is still unknown. It’s already been opened three times, so high time we also added it to StadiumDB. 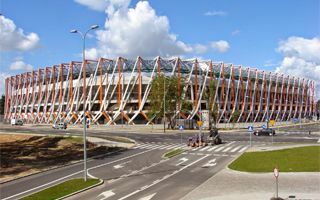 Thanks to architects from Estudio Lamela we have some quality photos of Arena Lublin, one of the most interesting stadiums in Poland. It’s a solid Hollywood material, but this is happening in real life. Wimbledon wins against the team who ran them to ruins 12 years ago. Next step? Building a stadium to rebuild former glory for good. 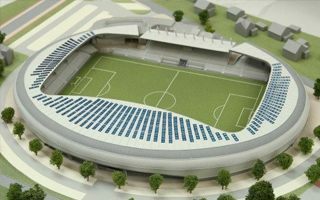 09.10.2014 Germany: New stadium for SC Freiburg for €70 million? 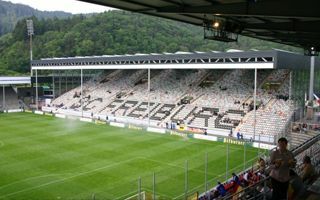 According to latest estimates, building a new 35,000-capacity stadium in Freiburg shouldn’t cost more than €70 million. Over half of this budget will be repaid by the Bundesliga side SC Freiburg. It’s been over a month since it opened and the home team are yet to lose a game. 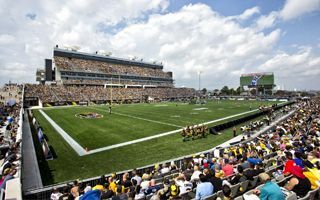 Tim Hortons Field may have been delivered slightly late, but is surely enjoying a great run so far. 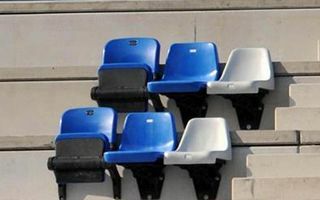 Udinese fans began to grow curious, even concerned over the new seats installed at the north stand. The reason is their colour: blue. 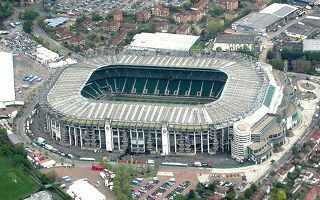 The club assures it’s only a test and the eventual seating layout is yet to be decided. 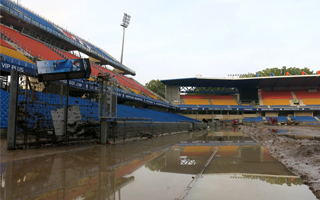 Within just a week Stade de la Mosson was flooded for the second time, now much more severely than last week. No home games will be played for weeks. 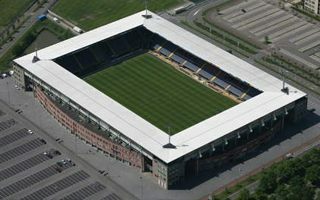 The largest stadium in Holland aims at being Europe’s leader in sustainable energy. Next year it should reach complete neutrality in terms of carbon dioxide, suing several features. Ward councilors in North Twickenham are strongly against potential move of Chelsea, even if for one season. And they assure to use “all measures available” to block it. 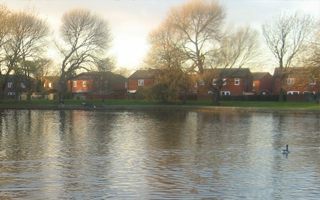 Relocation to a brand new 50,000-seat stadium at Walton Hall Park? Not if these residents succeed. So far public consultations have only started, but level of scepticism seems very high. 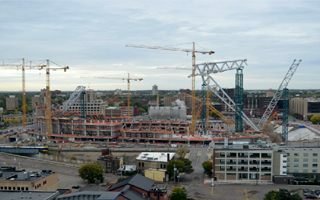 Big changes took place recently at the new stadium site in Minneapolis. Two immense trusses were lifted and now stand out in the city’s skyline in an unusual position. 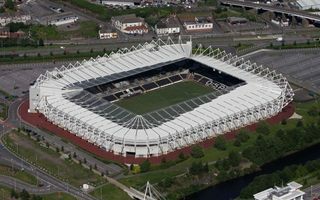 50% more than estimated initially – that’s the capacity increase update from Swansea City chairman. Instead of 4,000, the first phase of expansion will bring 6,000 seats and possibly 20 skyboxes. 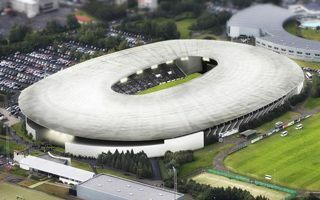 In less than three weeks the Karlsruhe city council will decise whether to build a brand new stadium or renovate the current one. And all indications say the latter option is… not an option. 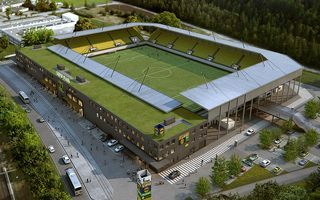 The latest Swiss stadium will be built just meters away from the border with Germany. Great location helped lure commercial partners and will allow getting by with entirely private funding. 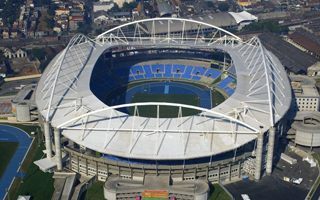 After 18 months of analysis and repairs the Olympic Stadium in Rio de Janeiro is about to reopen its doors. But there’s more work to be done ahead of the 2016 Olympics. 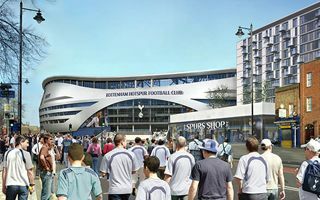 First construction agreement was reached for the new Tottenham stadium. M Anderson Construction will carry out foundation level, but only when the Archway case is resolved. Recent months brought many news about these stadiums. 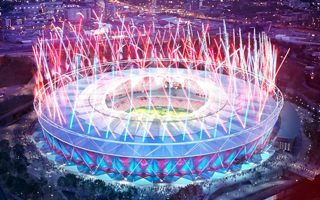 As Russia’s mega event project launches, only one stadium may be kept in the previously estimated budget. Two stadia will soon see groundbreaking.